For over 25 years Abel reels have dominated the high end fly reel market with a reputation for robustness and a great drag system for big fish! Abel reels can be seen being used to catch everything from Trout and Salmon to Tarpon and Marlin at every dream fishing destination you can think of! One of the best known things about Abel reels is their unique custom finish process which can turn a reel into a functional work of art. GAC and Abel have come together to offer an amazing deal for the GAC Open Weekend Event on the 2nd, 3rd and 4th of March 2012. Any Abel fly reel purchased over the three days can be customised in a finish of your choice at no extra charge - a saving of up to £175 - all you pay is the standard black finish price! Choose from a range of solid colours, perhaps to match your favourite fly rod, or pay homage to your favourite target species with one of the amazing Fish Graphic finishes. Or be adventurous and have your reel finished in one of the more flamboyant Artistic Finishes - it's up to you! 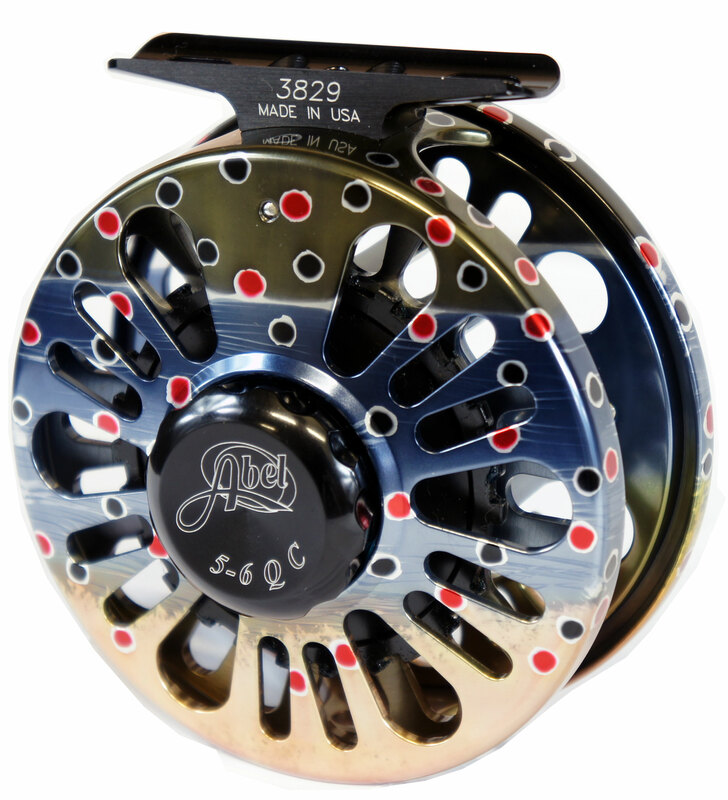 Abel reels start from just £230 and please allow up to 6 weeks for your reel to be made, hand painted and anodised for you. Limited Edition finishes and current custom stock are not included in this offer.